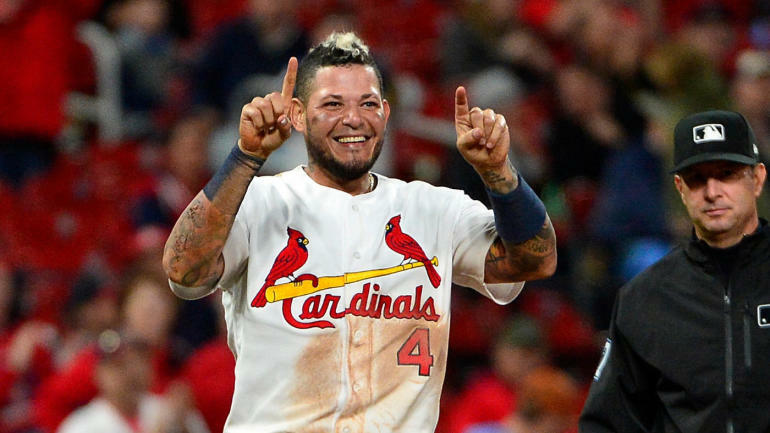 The St. Louis Cardinals second baseman's power surge continued Saturday, as he hit home runs in both games of the team's doubleheader with the Chicago Cubs. He's now hit eight home runs over the last six games, setting a franchise record for home runs in consecutive games. McGwire homered in five straight games during the 2001 season. According to ESPN Stats & Info, Carpenter is the first Cardinals player since Jim Edmonds in 2004 to have 10 or more home runs in a month. Carpenter's tear has been part of a season-long power surge. The 32-year-old, who had never hit more than 28 home runs in a season, already has 25 in 93 games played this season. His homer in the second game of Saturday's doubleheader came as a pinch hitter in the seventh inning, helping spark a Cardinals comeback. "You talk about the definition of locked in; that's what it looks like," Cardinals interim manager Mike Shildt told reporters. "He's got his own personal plan, and he's committed to it and he's putting good swings on the ball." Carpenter has hit five home runs in the last two days.